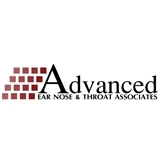 Advanced Ear Nose & Throat Associates (Atlanta) - Book Appointment Online! We take pride in being Atlanta’s top-rated Otolaryngology practice, treating complex ear, nose and throat conditions. Our physicians and are all Board-Certified, have advanced training in many subspecialties of ENT, and all have served in academic roles as instructors or faculty. We aim to provide high quality otolaryngology care to our patients utilizing the latest most appropriate technology with the goal of improving the lives of our patients. Our philosophy is simple. We will work hard to see that our patients get the care they deserve and get the answers they seek. We perform a thorough evaluation of your medical complaints, and then recommend directed appropriate treatments. It sounds old fashioned but nowadays hard to find!As a patient you will get our full attention. We welcome difficult problems and will take the time to hear your story. yes I would recommend him, and yes I will use him in the future. Staff is excellent! My appointment was at 10 a.m and I checked in and went straight to a room. Saw the Doctor within ten minutes. Dr. Bomeli is awesome! He is very laid back and easy to talk to. He made sure to check all areas of concern and recommend different options for treatment. He did not rush and kick you out the door like most doctors would. You can tell he takes pride in what he does and makes the patient feel like they are his priority.